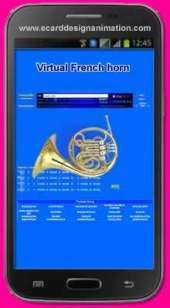 french horn mobile apps do not have to install the browser using HTML5 and Web Audio API, such as chrome / safari / Firefox / Opera running any operating system iOS Android / window phone and more. Can play files.mid. To record play. Downloading files.mid. Or to use a music program such as Window media player/Peace Midi Player / Cakewalk Audio/ ANVIL STUDIO.